R.L. BurnsideR.L. Burnside, born November 23, 1926, Oxford, Miss.) R.L. Burnside is a northern Mississippi guitarist whose whiskered, bristly blues recalls an earlier style heard from the likes of MISSISSIPPI FRED MCDOWELL and BUKKA WHITE. Burnside learned how to play guitar by watching McDowell and MUDDY WATERS perform at Delta house parties. When he was old enough, he began playing area juke joints and developed a percussive guitar style that made him a Mississippi hill country favorite. 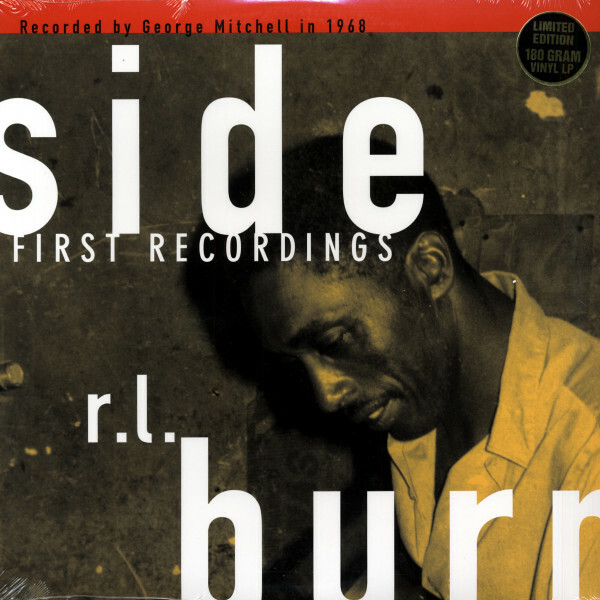 Burnside didn't record until the late '60s when some of his music appeared on the anthology Mississippi Delta Blues, Vol. 2, released on the Arhoolie label. Burnside toured Europe for the first time in 1971 and has since cultivated a small but loyal audience there for his brand of Mississippi blues. He recorded two albums, Country Blues and R.L. Burnside, for the Dutch label Swingmaster, and Mississippi Blues for Arion, a French company. Burnside has also performed at U.S. folk and blues festivals and tours occasionally. Bad Luck City was released in 1991 on the Mississippi-based Fat Possum label. Burnside continues to record and perform. Customer evaluation for "First Recordings"